Recently, I had a conversation with a few friends about music. I’m always tempted to prompt people on their Top-5 Desert Island Album picks and usually have a difficult time coming up with mine. So this time I’m going to go on-record. My sophmore year in college I took a philosophy elective called “Pop Music: From Blues to Jazz To Rock” which was a topics course that filled a requirement and it was the most entertaining class I’ve ever attended. One of the main assignments every student in the class had to complete was a paper describing five selections you’d take with you to a desert island knowing you were trapped and would never have access to anything else. When casually debating your selections amongst friends you often encounter some caveats such as live albums vs. studio albums or does anything go? Are double-discs allowed? All valid questions. For the sake of this exercise I will allow any produced album with a specific title (no bootlegs or anything). My list is also what is personal to me – what hit me at certain times in my life. This is not a most-influential or most-important album-list but it’s fun to adjust the rules to this exercise and debate. You’ll also notice that 1997 was an influential year for me as I was 18 years old. 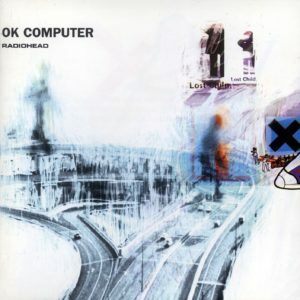 OK Computer was released on or just around the day I graduated high-school but I didn’t purchase a copy until into college. I went to school for computers and am a Systems Engineer to this day and Radioheads masterpiece was the musical equivelant of what I was screaming to the older generation at the time: that we were moving into a new technological era and there was no looking back. The day I walked into the philosophy class I mentioned previously the professor got up in front of the lecture hall, looked at us, and said, “So, you guys probably love Radiohead.” He was right. I used to work at a mall growing up and during breaks I’d venture to other stores. Three or four times a week I’d make stop in to Musicland or Sam Goody or whatever it was at the time. I knew people who worked there and this was pre-Napster. If you wanted music you had to pay for it. So I took selections more seriously at this time in my life. I often took recommendations from the staff and a girl I went to high-school with worked there at the time. 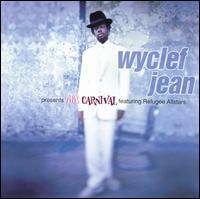 She said “Wyclef. Trust me. It has everything.” She was right. It was a front-to-back story that had island overtones, different languages and was different from the chest-beating hip-hop around at the time. It was intelligent and satirical. It had sounds I’d never heard before and still enough pop-appeal to play in the car. And to this day it’s an album I can turn on and play start-to-finish and then do it again. Everyone gets into Pink Floyd for one reason or another. Personally, I believe their strange name has a lot to do with peoples intrigue. I got into Pink Floyd when I was searching for something else in my adolescence. The immature sounds of Metallica, Guns N’ Roses, and Motley Crue weren’t cutting it anymore and I wanted to grow. But it takes a mature ear to appreciate the masterpiece that is the Dark Side Of The Moon one of the greatest selling albums of all-time. Although somewhat underappreciated amongst snootier critics when debating the most influential albums in history “Dark Side” is woven into pop-music culture. I remember going to Best Buy and purchasing the special edition Ultradisc version (pictured) as Dolby Surround Sound was developing at the time but honestly it was so I could say I had the best version. 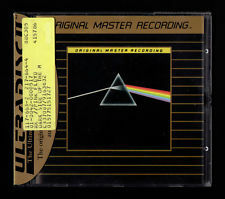 I didn’t find out until recently that there really was an advantage to this special edition as explained by David Gilmour, Nick Mason, and Richard Wright. (21:15). I spent hours trying to sync this with The Wizard Of Oz and it works – trust me. It’s also perfect to fall asleep to. I love the blues because of it’s improvisation over structure. It’s call and response. I like that it’s emotional and often feels heavy. I could put a ton of blues albums in this spot. And although I recognize Robert Johnson as arguably the most important figure in pop-music history his stuff is a little too benign for me. A little too laid-back. 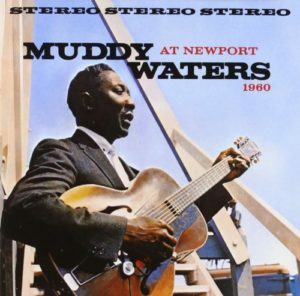 I found this album pre-Napster as well at an Exclusive Company in Milwaukee when I started investigating what the blues meant to other genres. It was a perfect example and was one of my first exposures to what live blues could be like. When I was 16 there were two popular annual concerts that were touring Lollapalooza and H.O.R.D.E. Fest both which featured multiple acts. H.O.R.D.E. which initially began in 1992 showcased acts such as Blues Traveler and Spin Doctors and I remember when that concert came up it was big if you had tickets. I didn’t. When it was over I asked someone who was the best and I couldn’t find anyone – and I mean ANYONE – who didn’t say Dave Matthews Band. They are the act I’ve seen most often live which turned into an annual pilgrimage during my coming-of-age even though I realize it’s now also a suburbanite-cliché. 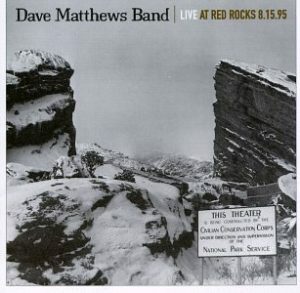 I’m somewhat certain Live At Red Rocks was on my list during my first draft in college and is also the album that spurs the most “Is this allowed?” chatter when doing this experiment with my friends as they want to include every Dave Matthews Band Album. It includes most of the hits from Under The Table And Dreaming and Crash and was produced before Dave Matthews Band got zanier on Before These Crowded Streets. “Seek Up” is a personal favorite.